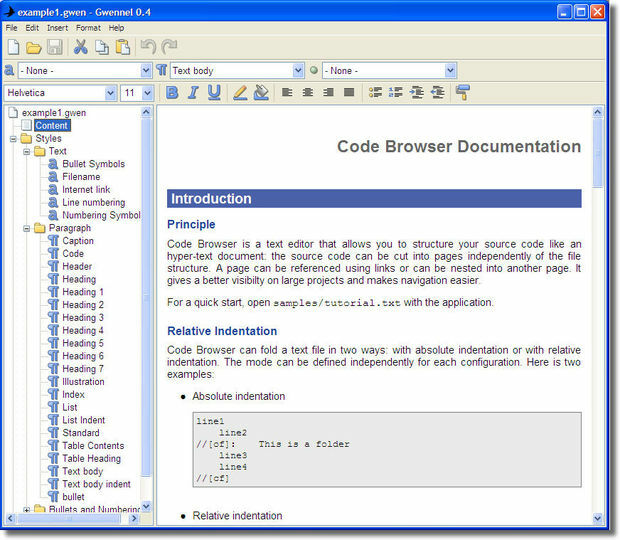 Gwennel is a very useful WYSIWYG and WYSIWYM editor for Windows. It supports the Open Document Format (ODF) natively. It is more of a note-taking application than a full-fledged word processor. You can directly open documents from Open Office without the need of specific import or export. Gwennel documents can be directly opened in Open Office or any other tool supporting the OpenDocument format. Portable: no install and no use of the registry.